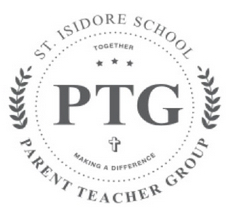 The St. Isidore School PTG serves a vital role in our school: to support our teachers, our principal, and our school families through fun, community-building activities. We do this while simultaneously raising money to ensure our students can continue the high level of Catholic education they receive here at St. Isidore School. Many families actively participate as it’s not just the events themselves but memorable time and volunteer hours that go into these events which create the lasting friendships that the St. Isidore School community is known for. We encourage you to find a way to get involved: attend an event, volunteer in your child’s classroom or serve the school during one of our wonderful fundraisers. There are many various ways to participate in our school community.